The Banjo Brothers Rack Top Pannier Bag fits most rear racks for a versatile storage addition that is surprisingly spacious. 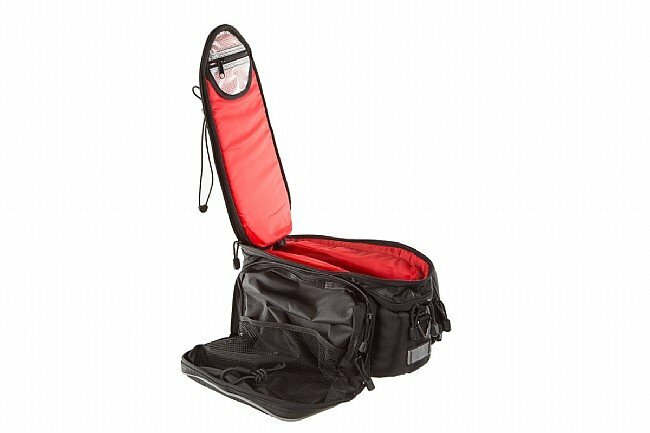 Its slim design easily straps onto the deck of rear racks, and the 14.5" x 5.5" x 7" main compartment is a perfect place to stuff clothes or a picnic lunch. 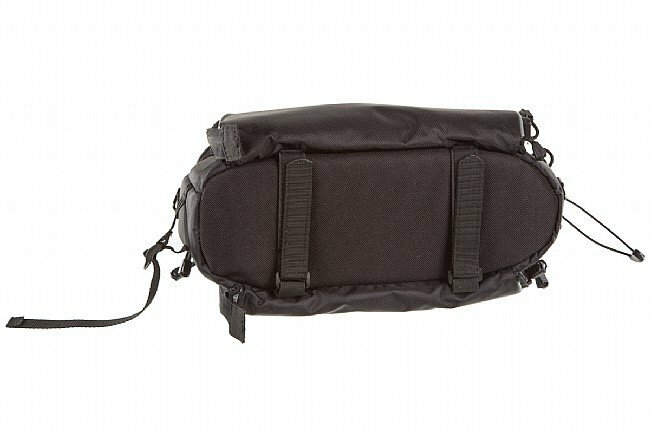 It's heavily padded for support and extra insulation, plus there's a coin pocket and key lanyard inside. 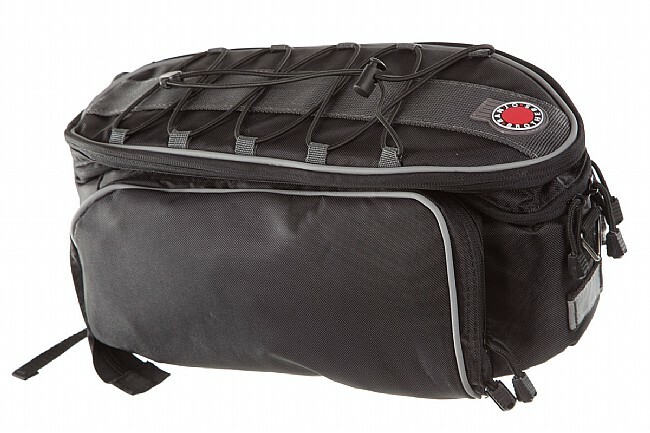 On top there's a cinch bungee net to stuff clothes or oddly shaped items, and where this bag really expands is at the sides, which feature zip down deployable panniers to more than double the storage capacity. Both side panniers feature zip closures, and the right side has an additional mesh external pocket for convenient access to essential items. Made from durable ballistic fabric. Features a reflective rear light loop for visibility. Great product, easily adjusts to just about any size load. Easily adjustable to size of load, mounts well on rack, no problems to date. Thanks.